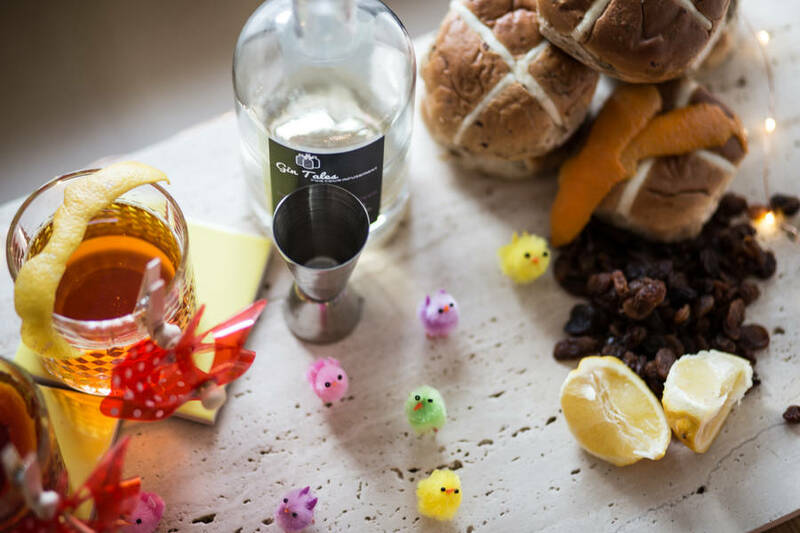 Hot Cross Gin has hatched... crack open a bottle today and let the Easter flavours escape. 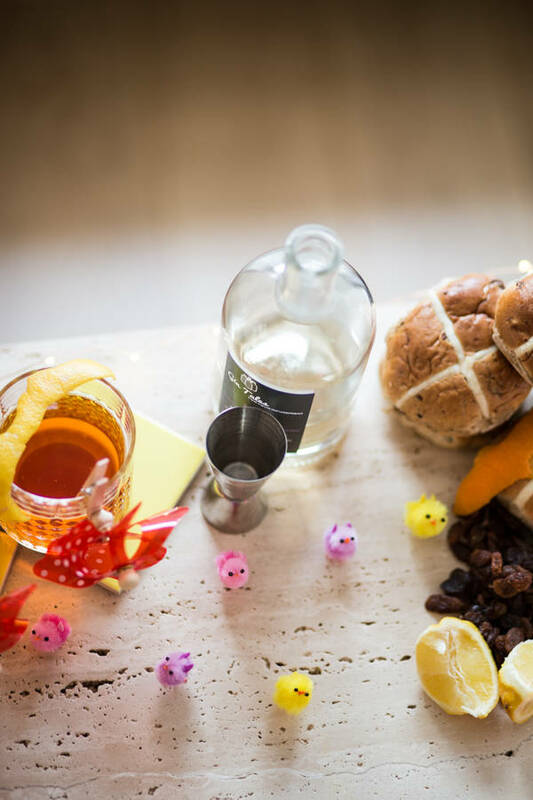 Our Hot Cross Gin is an adult twist on an Easter favourite... leave the buns and chocolate for the kids, this is Easter for grown-ups! Wild, romantic, cool, saucy, or sweet? 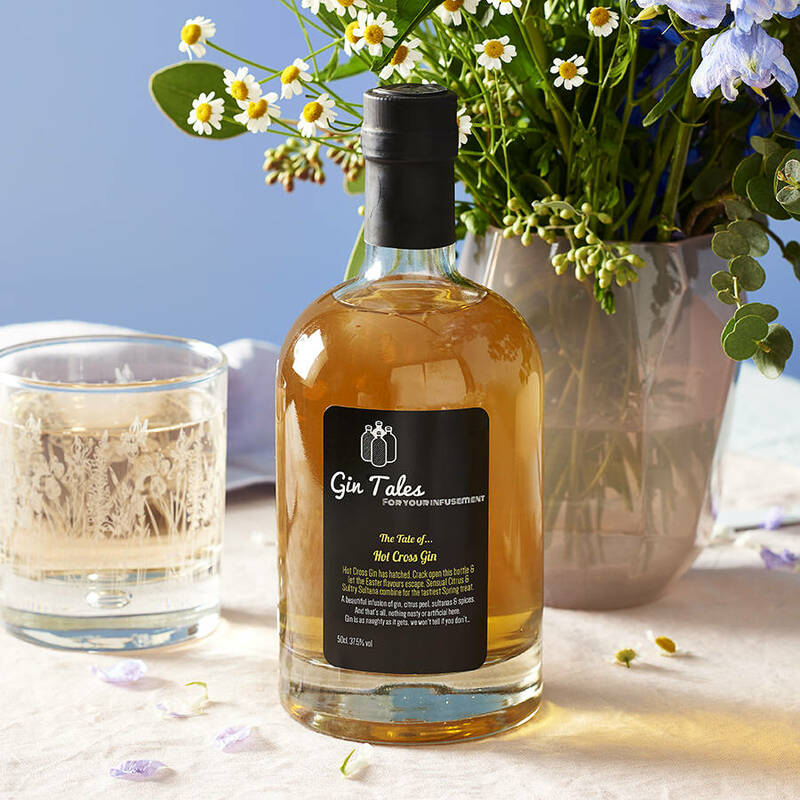 Discover Gin Tales other infusions... Raspberry and Mint, Lemon and Ginger, Raspberry and Rosemary, Lavender, or Strawberry, Rosemary and Lime. Visit our storefront for the full range of gin infusions. London dry gin 37.5% vol. Infused with fresh citrus fruits, sultanas, cinnamon and nutmeg. Best sipped within three months from when you pop open the bottle. Store in a cool, dry place out of direct sunlight. Our gins contain real fruit, if any fruity bits settle give the bottle a little tip before pouring. Serve with ice, splashes of tonic - we particularly love Fever Tree Premium Tonic. Pop in some fruit for decoration. Sink into your favourite chair, and sip away. 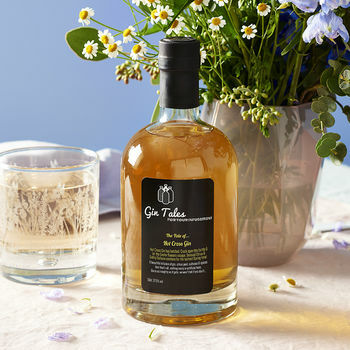 This product is dispatched to you by Gin Tales.